MAY is PLAY LOCAL month! Spring has finally arrived, and it is time to get out there and play. So, we’re launching another month-long campaign. This time, we’re declaring May the PLAY LOCAL month! 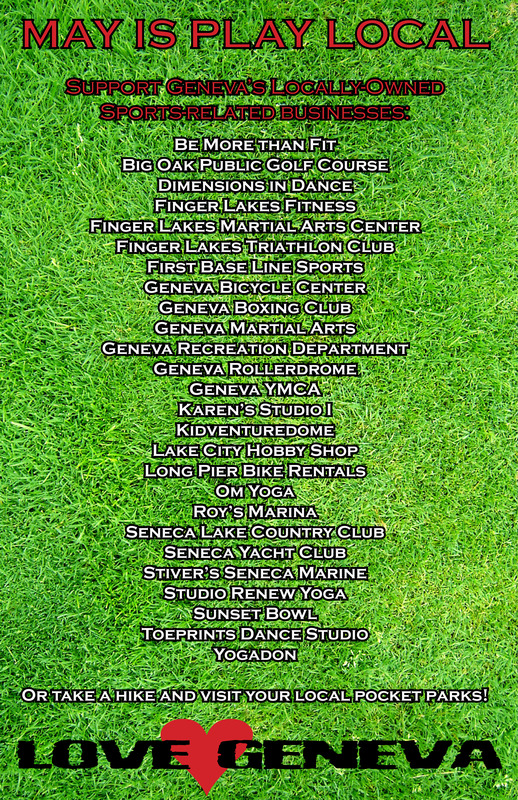 We’ll soon be hanging posters around town with the list of locally-owened sports and health-themed businesses. The “April is Eat Local month” campaign was a great hit, so we’re hoping this month’s campaign will be even better. The poster is below. Please help spread the word — and keep shopping local! It makes a world of difference!